Doolittle was an aviation pioneer, who combined seat-of-the-pants daring with advanced academic study of aeronautics (earning an MIT doctorate). He served as an army pilot in World War I, established a number of aviation speed records between the wars, then resumed active military service in World War II. 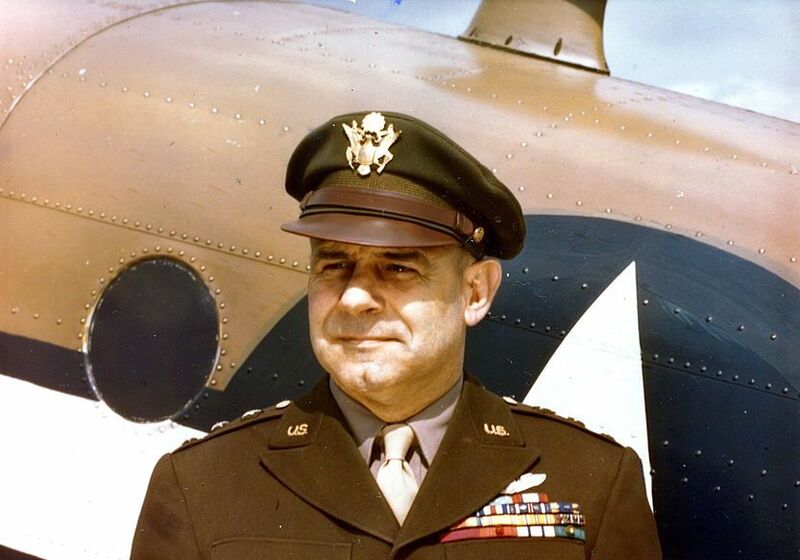 Shortly after the U.S. entered the war, as Japan moved from triumph to triumph in the Pacific, Doolittle led an extraordinary raid on Tokyo and other Japanese cities using 16 twinengine B-25 bombers launched from the deck of the aircraft carrier Hornet—on the face of it an impossible feat. The April 18, 1942, raid was successful, and although it had all the earmarks of a suicide mission, most of the aircrews, including Doolittle, returned.